Born in Germany in Lower Saxony, she studied History, Literature, Political Science, Italian and German Literature at the Universities of Rome, München, and Göttingen. After her doctorate in Medieval History she has been an external collaborator of the Deutsches Historisches Museum in Berlin, curator of the exhibition for the 600th Jubilee of the University of Leipzig and director of the Städtisches Museum of Braunschweig. 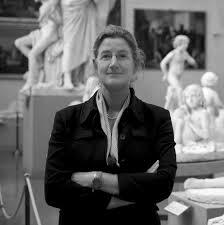 From 1st December 2015 she has directed the Accademia Gallery in Florence.